Music Planet 2nite was a french / german TV show aired on the ARTE channel: during few seasons, two artists (one being the guest of the other) were giving live concerts given into smalls, well renowned clubs in Hamburg/Berlin and Paris. The live performances were enriched by back stage interviews. Ray Cokes was setting the mood. 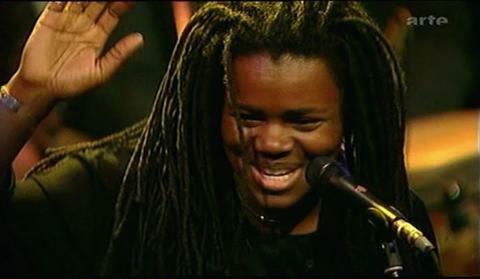 On november 2nd, 2002, Tracy Chapman invited David Gray to sing on the Traenenpalast music scene in Berlin, Germany. 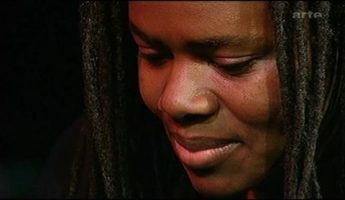 Tracy Chapman performing at the Music Planet 2nite TV show. “Traenenpalast”, Palace of Tears: The entrance time was 7:30 pm. My plan was to be about one hour earlier at the “Traenenpalast”. The English translation would be “Palace of tears”. In the past, the Berlin Wall divided Berlin, the Palace of tears was used by Eastern German borderguards. There they used to check people who wanted to go to the western part of Berlin. Because of people’s tears after entering the Western Part, this building was given this name after the fall of the Berlin wall. Waiting… for the entrance: The entrance time was 7:30 pm. I arrived there at 6:30 pm and I really was the first one waiting in front of the entrance. Imagine how happy I was… After a while many more people arrived and were waiting in front of the entrance but I was still the first one. It was quite cold but it wasn’t raining so it was OK to wait there. Because of technical problems they opened the doors at 8:30 pm (when the show was supposed to start). Some people in the crowd yelled absurd things like “We want to go in” or “Give us our money back”. I think that they should have been happy to see Tracy in such an intimate atmosphere. An hour of waiting is OK for that, I think. But at 20:30 they let us in and I went straight to the stage. But there were some chairs. I thought that those chairs would have been for some “Very Important People” but I sat on one of them ( best ones regarding the stage) and I thought that nobody could send me away. The audience: The audience could have been divided in David fans (20%), Tracy fans (30%), friends and family of the TV-Crew (25%) and some new-rich people who definetly can´t feel anything while listening to Tracy or David (25%). David Gray: After having waited for a while, Ray Cokes introduced us to David Gray. He came on stage and started to play the piano. After the first verse and first chorus his band also started to play. 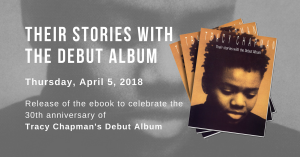 They played songs from his latest album as well as songs from “White Ladder”. Among those songs there was “Babylon” and “Sail away”. 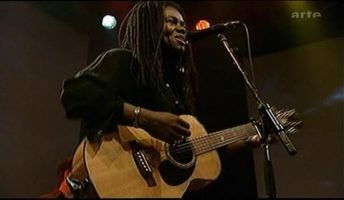 Welcoming Tracy Chapman: After David’s show they started to rebuild the stage completely. They started to build up Tracy’s stage. The entire set was built for two background singers, a guitar player, a drummer, a percussion player, a bass player and a keyboard player. 01. Baby Can I Hold You: After having waited for an hour, Ray introduced Tracy and she came on stage. Dressed in blue jeans and black shirt, she said in a friendly and shy way “Good evening” and she started to play the guitar and sang “Sorry, Is all …” She sung the first verse solo and the band started to play. 02. You´re The One: After that song, she said that they would play some old songs as well as some new ones. Then the drummer sat on something like a percussion box as well as the percussion player. Tracy started sing singing “hmmm” and she sung “Some say you´re crazy…”. “You´re The One” is a good song and played live it sounded fantastic. 03. Mountains O things: After “You’re The One”, she said that the next one would be an old one but that they would it play it in a different version and that she hopes that we would like it. They played “Mountains O’ Things” like on the “Telling Stories” bonus disc from the limited edition. It was also sounding really good. 04. Telling Stories: Tracy took an electric guitar and I supposed that she would play “Telling Stories” now and that was what she did. It sounded like on the last tour. 05. Another Sun: Then she sung “Another Sun”. I think that there are better songs on her new album ( I like “Broken” very much) but it is also a wonderful moment to see Tracy sing “Another Sun” as well singing any other song. 06. Give Me One Reason: She started to play “Give Me One Reason”. And I have to say that I love that song. As a Clapton fan, I remembered when they played the song together. I sung the complete lyrics (maybe you can see it on TV;o)) ). The solo her guitar player played was not as good as Eric’s one on the Special Christmas show but it was OK.
07. Almost: After “Give Me One Reason”, she played another new song, “Almost”. 08. Talkin Bout A Revolution: And then she took again her acoustic guitar and started playing and I knew that it would be “Talkin’ bout a Revolution” or “Fast Car”. It was “…Revolution” and everyone in the crowd clapped in one’s hands as we did for “Give Me One Reason”. I thought the version was a little bit slower than on the album. I sung again the complete lyrics. 09. and 10. Encores: And she left the stage and came back for the first encore which was “I am yours” and than she said Good Bye again. But the crowd was clapping, crying and yelling so they came back for “Get up Stand up”. It was again a really exciting experience and then the show was over. Epilogue: It was a little bit short but we were indemnified by beeing so close to her, I was sitting 2 metres far from her, It was fantastic.